Vivienne Westwood Anglomania 'Balloon Blouse' in soft, purple viscose wool mix. 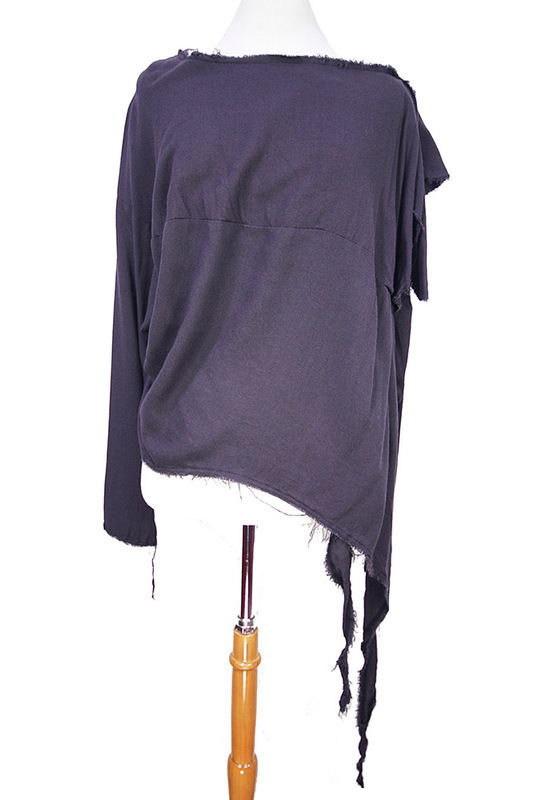 Wide round neck with layered raw edges. Long sleeves. Pointed hems and raw edging. Distressed piece.